The following is from the Echo of Monday 8th August 2011. FLOOD wardens are being recruited in Christchurch as the council looks at new ways to deal with the borough’s “major potential hazard”. A report to the council’s scrutiny committee on Tuesday heard how the authority is looking to take on flood wardens while also looking at ways to fund new defences and schemes. 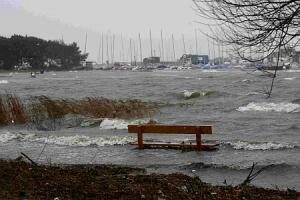 Christchurch’s proximity to the River Stour, River Avon and Christchurch Harbour puts flooding at the top of the list of potential major hazards in the borough. However, if a one in 200-year event should occur, officers believe the existing defences would be overtopped with 2,100 properties at risk. They intend to roll out evening surgeries to develop community plans while encouraging residents to develop their own personal plans. Future schemes in the borough may include the construction of rock groynes and beach works for Avon and Friars Cliff, raising of defences around the cottages on the quay at Mudeford and a “discreet” defence scheme for waterfront properties around the north of Christchurch Harbour. However, due to changes to funding for schemes such as these, between £250,000 to £1million will need to be raised within the borough. Lindsay Cass, head of environmental services for the Christchurch and East Dorset Partnership, said the report to the scrutiny committee highlighted the fact the council had robust plans in place to guide their response to flooding incidents in the borough. “However, we are working with the Environment Agency to establish a network of Flood Wardens who live in the areas most at risk of flooding and who will be able to help with the development of Community Flood Plans”, he said. On Tuesday 22nd January 2008 in response to a question from a resident CBC stated that the construction of the new Boscombe Surfing Reef will not exacerbate the possibility of overtopping or flooding as far as Christchurch residents are concerned. The most positive aspect to this is that from the nature of the reply it is clear that CBC and Bournemouth are still talking to one another and that's sustained progress. In May 2008 The New Forest District Council began a review of all our coastline defences, to which we are contributing. The Scrutiny Committee of Christchurch Council met on 29 July 2008 to consider how national flood policy changes affect the town. Since the 2007 Tewkesbury floods, the Pitt Report has emerged, making 92 recommendations. These are gradually being implemented across the country to produce better coordination between the emergency services, the Environment Agency, the water and electricity suppliers, the Met Office and local authorities. In October 2008 CBC told us that Bournemouth and the Channel Coastal Observatory continue their independent monitoring and surveying. CBC visits the Double Dykes during storms to observe any overtopping. There were no such events last winter or spring. 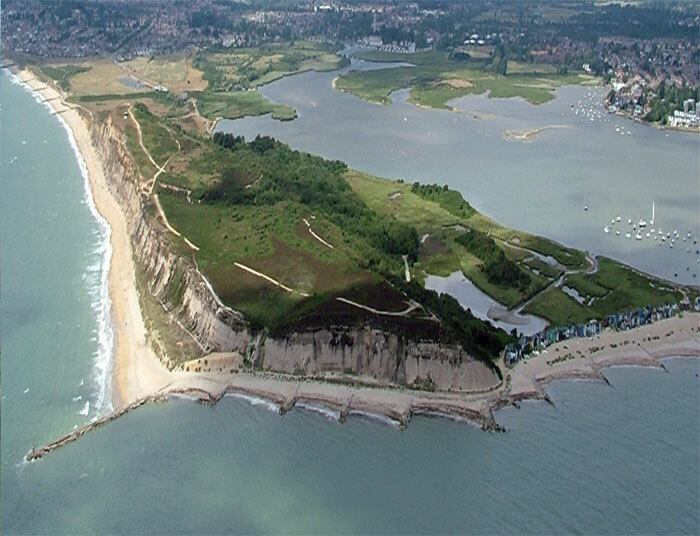 The new Shoreline Management Plan to be produced with the assistance of consultants Royal Haskoning will contain a specific section devoted to Hengistbury Head. This plan is due to be published December 09 with public consultation in July to October 09.